Eating is one of my passions + I guess this is quite inevitable. I have tried to resist to succumb to the call of dedicating an entire blog to this passion, but it has gotten the better of me + I just gave in. Thus, Mum Eats was born! Cooking is also one of my frustrations, + I shall also share that struggle here, along with recipes I tried + recipes I’d love to try one of these days! 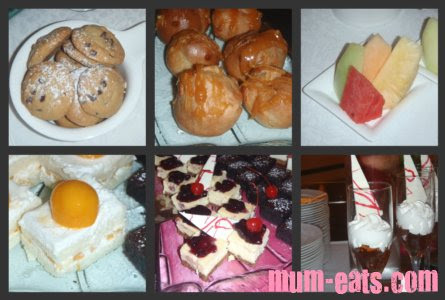 This entry was posted in desserts and tagged eating, food on 16.July.2012 by admin.